Submitted by mark on Thursday, October 29th, 2015 at 4:54 pm. Submitted by mark on Monday, November 24th, 2014 at 12:07 pm. 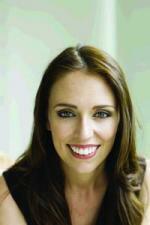 Jacinda Ardern M.P. has been appointed as the Labour Party Spokesperson for Arts Culture and Heritage. Tags: Heritage Spokesperson, Jacinda Ardern, Labour Party, M.P. Submitted by mark on Thursday, August 7th, 2014 at 5:36 pm. "Labour believes that knowing and understanding our past and conserving our historic heritage is a critical part of establishing a strong sense of national identity. It is important we tell the stories of our nation’s history, and that places of significance are preserved for future generations." Submitted by mark on Thursday, July 3rd, 2014 at 2:15 pm. “Labour’s plans to protect Canterbury’s heritage and to support building a liveable city include carrying out an audit of all remaining heritage buildings in the CBD and wider region. We will also repeal Section 38 of the Christchurch Earthquake Recovery Act to ensure the community have their say before any more heritage buildings are razed." “That guarantees the iconic Christchurch cathedral will not be demolished in haste, with any decisions on its future only being made after consultation and a proper Resource Management Act process." Submitted by mark on Thursday, March 27th, 2014 at 7:55 am. “In the aftermath of the quakes, extraordinary powers were given to CERA through section 38 of the Canterbury Earthquake Recovery Act to demolish damaged heritage buildings without consultation. “Three years on from the quakes, the time has come for that overarching authority to end, and for communities to be able to once again have their say on the future of the city’s remaining heritage buildings. Submitted by mark on Friday, August 30th, 2013 at 10:40 am. "Christchurch City Council’s decision to save the Christchurch Town Hall represents a line in the sand for heritage buildings in Christchurch, says Labour’s Arts, Culture and Heritage spokesperson Grant Robertson." Tags: Christchurch City Council, Christchurch Town Hall, Grant Robertson, Heritage Spokesperson, Labour Party, M.P. 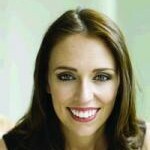 “It’s about OUR heritage” Commentary By Jacinda Ardern M.P. Submitted by mark on Monday, March 11th, 2013 at 12:03 pm. “Public have an important role in cathedral decision” Media Release From Grant Robertson M.P. Submitted by mark on Saturday, April 6th, 2013 at 4:49 pm. “Along with Labour’s Christchurch MPs I support the heritage value of restoring and rebuilding the cathedral." 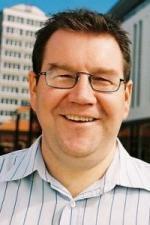 Grant Robertson M.P. Labour Spokesperson Arts Culture and Heritage.